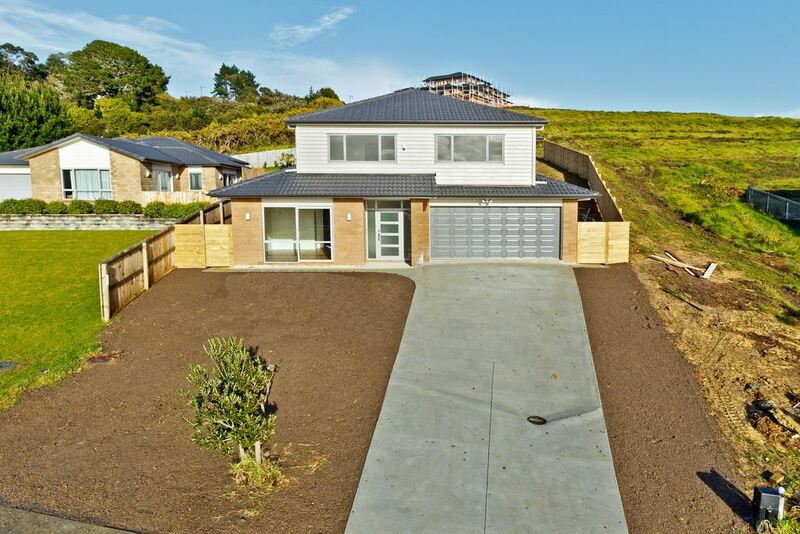 Brand new family home situated in a peaceful new development of Arkles Bay, offering sunny elevated living. The main home is situated on the upper level, but with a separate formal living area, 1 bedroom with shower ensuite downstairs, making this ideal for the extended family or teenagers. Beautiful light wooden floors used in the home create light and airy living. Gallery style stairs lead up to open plan living and dining with suburban outlook, 4 bedrooms, the master with ensuite and walk in robe. Outdoor access can also be gained. Double garage with additional off street parking and only minutes from shops, college and a range of beaches along the peninsular. So if you are looking to move away from the City but be close to everything, this is the place to be.